Of all the dystopian novels, which do you think has the scariest setting or events? 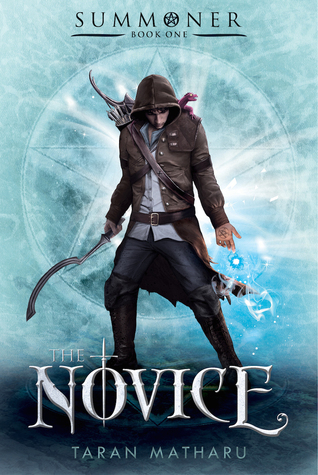 Greg is a book blogger and Renaissance faire enthusiast who reviews a bit of everything, but mostly fantasy and YA. He also enjoys music and movies, and never met a used bookstore he didn’t like. He has written reviews for Knights of the Dinner Table and contributed to SFSignal in the past. You can find him at Greg’s Book Haven or on Twitter at @GregsBookHaven. When it comes to dystopians there are no shortage of bleak futures. My initial answer when I read the question was The Hunger Games by Suzanne Collins. After all they pit children against children for entertainment purposes. How whacked is that? Then I thought maybe The Maze Runner (by James Dashner), but I’ve only seen the movie and I should read the book before making that call. The reason I thought of The Maze Runner though was because on a personal level it seemed terrifying – having no memory, being dropped into the Glade with no control of your future, and of course the terrifying and deadly Maze. But my definitive answer is… Divergent by Veronica Roth. Why? Well, I think growing up in a closed off city, finding out later you were under constant surveillance and being forced at sixteen to join a faction that will dominate your entire future. Regardless of the goal, to do this to so many people is just so manipulative – your whole life is just an experiment. I think that may be even worse than The Hunger Games society. At the risk of giving too many answers, I’m going to add one more: Logan’s Run, by William F. Nolan. An older dystopian, but imagine having to submit to euthanasia at twenty one (thirty in the movie). Your life has just begun, and it’s over! That may be the scariest one. First of all I should probably confess that dystopian stories are not among my most widely read of sub-genres. I appreciate the really good ones I’ve read, but I am a bit of a delicate flower and I tend to prefer my reading to be less about doom and gloom and more about hope for humanity. Some dystopian-type books get this right, though the hope is usually accompanied by a LOT of nail-biting and lessons about being careful what you wish for. But the novel takes place after humanity has found stable, relatively safe ground again, a few decades later. Security is tighter than ever, blood tests are mandatory in just about every public place possible – and in every home, naturally. These aspects are fairly par for the dystopian course, but it’s the social aspects that really twist the trope and make this book as interesting as it is. Rather than traditional news/media outlets being relied on to inform the public in general, it was every street-level blogger and capable, levelheaded Average Joe with a social media presence banding together and sharing actual useful, life-saving information and advice that helped humanity to pull through. The News let us all down, so we basically kept our heads and saved ourselves, and in this vision of a post-apocalyptic future, it’s the bloggers we trust. And this book was written and published several years ago. Sounds pretty frighteningly relevant today, doesn’t it? It’s the level of apparent prescience there, as much as if not more than the more horror-centric zombie factor, that’s truly scary to me. We do, generally speaking, have a troubling habit of reacting rather than acting when faced with dangerous and/or violent situations, and thanks to the age of information, we often don’t bother with the context of facts; we tend more often to grab the facts and run with them. This is a potential future in which we literally do just that, and while the fact that we survive lightens the end of that tunnel, what’s really frightening is all the lessons we still haven’t learned, and the ways in which we still wrap ourselves up in fear and call it sensibility. Jess is a 25 year old book blogger from the UK currently working in academic publishing. A feminist killjoy, history nerd and unicorn enthusiast, she enjoys nothing more than reading books about well-written women and the men they make cry. You can find her on Twitter (@JGofton) or via her blog, Curiouser and Curiouser. If a dystopian novel doesn’t creep you out, even the tiniest amount, then it’s not doing its job properly. The Hunger Games doesn’t seem like an all too distant reality in a world obsessed with reality TV and The Handmaid’s Tale continues to be read widely in schools and universities because there’s still so much to say about feminism and equal rights. For me, though, the most terrifying dystopian novel has to be the ‘big brother’ of them all: George Orwell’s Nineteen Eighty-Four. It’s bleak, cruel and devoid of all hope, and nothing freaks me out more than the idea of a place like Room 101, where your worst fears are quite literally realised. That the government in Nineteen Eighty-Four are able to make you think how they want you to think and essentially torture you into obedience is horrific – I’d genuinely rather live in Panem! Crini is a blogger from Germany who mostly tours foreign worlds of fantasy novels with occasional detours into space and explorations of magical realism. When she is not too busy re-watching Pacific Rim for the 100th time, she is probably re-reading one of her favorite books yet again. She can be found on her blog, All About Books or on Twitter (@xcrini). Dystopian settings like those in The Hunger Games or The Maze Runner certainly are brutal and not a place I would ever want to be in, but they don’t necessarily scare me. That’s mostly because I don’t really see myself ever being in a similar situation. I don’t expect to end up in a fight for my life like that. One series/book that definitely did scare me though (as rare as that is) was Neal Shusterman’s Unwind. If there is one thing in books that always make me break out in cold sweat, it’s situations where the main character isn’t allowed to decide for themselves (anymore). That someone else could be in charge, like being committed to a mental institution, against your will, even if it’s with good intentions, always freaked me out. And Neal’s book is a lot worse than that. That parents can decide that you’re not good enough anymore and better off as an organ donor is as scary as it gets for me. Reading about kids on the operating table, knowing exactly what’s to come, made this quite intense too. What do you think about the panelists’ responses? Let me know your answer to the panel question in the comments below! 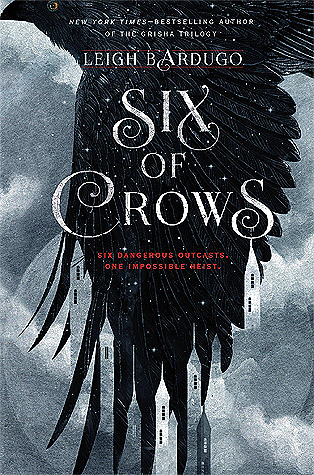 Last month I read a total of seven books: The Girl in the Road by Monica Byrne, Going Postal (Discworld #33) by Terry Pratchett, Six of Crows (Six of Crows #1) by Leigh Bardugo, The Novice (Summoner #1) by Taran Matharu, The Rosie Project by Graeme Simsion, Allegiant (Divergent #3) by Veronica Roth and Queen of Shadows (Throne of Glass #4) by Sarah J. Maas. I didn’t get quite as much reading done as I’d hoped during June: I no longer have the time to read on my lunch breaks at work, plus I bought some games in the Steam sale which just completely distracted me from doing anything else. I managed two Netgalley copies and FINALLY GOT MY RATIO UP TO 80%! It’s only taken me almost four years! Now I just have to work at making sure it doesn’t drop… I’ve been pretty good at not requesting stuff from there lately, in fact throughout 2016 I think I’ve requested less than 10 books. Progress 🙂 I re-read Going Postal (Discworld #33) by Terry Pratchett, which I first read before 2009 (before I had Goodreads). Most books I read before then have a 3-star rating, because I can’t always remember how much I enjoyed them. This one was bumped up to 5 stars after a re-read, so definitely worth it. 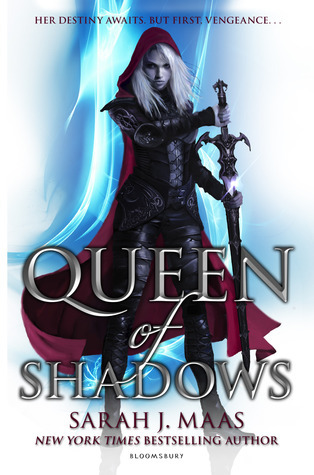 However, my ultimate standout book this month was definitely Queen of Shadows (Throne of Glass #4) by Sarah J. Maas, which just broke me. I love that series so, SO much and I cannot wait for book five. GIMME GIMME GIMME. I read six books towards the DC vs Marvel Challenge. I’m making really good progress with the villains and have defeated every one so far, but Brainiac, July’s villain, looks super tricky. I have currently read 63 books towards my Goodreads goal, which puts me 13 books ahead of schedule. How was June for you? A Novel Experiment is a new feature of mine where I try some experimental reading over the space of a month or so, and then report back at the end of the month. What is experimental reading, you may ask? My goal is to try different ways of reading, such as reading only ebooks, only one genre, only non-fiction etc, for a month, and then see whether it affects how much and how eagerly I read. Obviously this is not going to be something I repeat every month, but rather every couple of months or so. For the month of May, I’ve decided to try sticking to a monthly TBR list, meaning I can only read pre-selected books. It’s a good way to get through review copies and new releases, and I was inspired by Amber when she started posting them. It will be interesting, especially since I’m quite a big mood reader. So what are my selections for May? That should be enough for now! I’ve chosen these particular books for a reason. They are a mix of Books of the Month for Dragons & Jetpacks as well as a Buddy Read, some books from my top ten brand new books on my shelf, some to fit the DC vs. Marvel Challenge and one more because I can’t wait to read it! I’ll report back with my progress at the beginning of June! 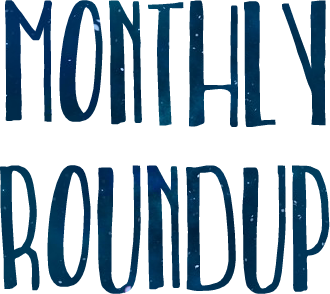 🙂 Have you ever set up a monthly TBR? This is actually a review of a re-read of Divergent, as I first read it in 2012. 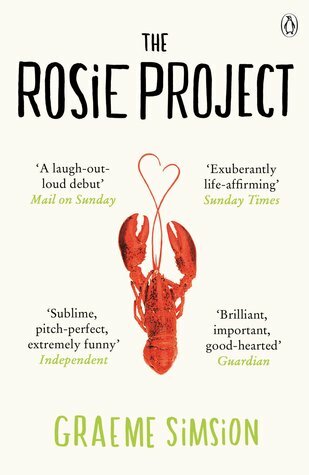 It was chosen as a Book of the Month for my Goodreads book group last year, but I didn’t have access to my copy, as I was living in the Netherlands at the time. I then decided to read and finally review it after coming back to the UK. 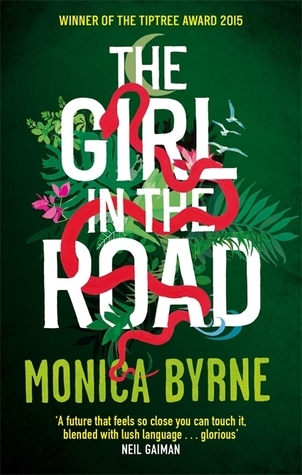 I also wanted to re-read it because I felt it wouldn’t be quite as good the second time round – now that I’ve read so much more YA dystopian fiction, which has very much flooded the market in the past few years. Just a note that this review will contain spoilers for the first book, Divergent. My reviews do not usually contain spoilers, but I really wanted to discuss some of my issues with this one, which cannot be done spoiler-free. Firstly, I really need to question the whole system of Divergent. Is Chicago the only city left? What happened to the rest of the world? And why oh why did they think a faction system, especially one that relies on every person having one characteristic, help? Surely the fact that people can choose to switch factions only encourages Divergence? And I’m pretty sure everyone in the world would be Divergent. There’s no way that all of those people aren’t brave AND clever AND kind AND selfless AND honest. Does that mean anyone who is not in Candor is dishonest? Surely then their government would be a mess, as it’s run only by Abnegation? And speaking of Abnegation, whose smart idea was it to let just one faction be effectively in charge? Sure, they’re supposed to be ‘selfless’ but if there are Divergents out there then that only means there is a chance of corruption. I’m also pretty sure that being selfless does not equal being a good leader. I had to sigh when Tris was described as ‘plain’. Of course, of course. Why are basically all YA dystopian heroines plain? And white, and blonde. And then of course the moody ‘bad’ boy with the mysterious past is interested in the ‘plain’ girl, who of course is special and talented. I am so so bored of this kind of romantic trope. More questions. Why do only half of the Dauntless initiates get to pass? Surely, in this post-apocalyptic/whatever the hell happened world, you would want to keep population numbers fairly stable, and therefore NOT just randomly let people die? And why have the factionless never rebelled? It’s implied that there’s quite a lot of them, and with Dauntless’s elimination system, you’d assume quite a large percentage of them would be ex-Dauntless. And therefore trained to fight, how to use weapons – and probably willing to go down trying to free themselves. I still don’t quite know how to rate Divergent. Obviously I have a lot of problems with it; so much of the story just doesn’t make any sense. But I also breezed through the book and quite enjoyed it, despite the gaping plot holes and questions. The last 80 pages or so contain so many shocks and twists, and it’s clear that Veronica Roth is not against making some serious decisions in terms of her characters. It’s better than some YA dystopian fiction that I’ve read, but worse than others – sitting somewhere firmly in the middle. 2016 – The Year Of Re-Reads & Readalongs? All through 2015, I seemed to tell myself I would soon re-read certain books and series, but I never got round to re-reading any of them. So I’m determined to make 2016 the year that I re-read these series – and why not host some readalongs/discussions so that others can join in on reading these with me? 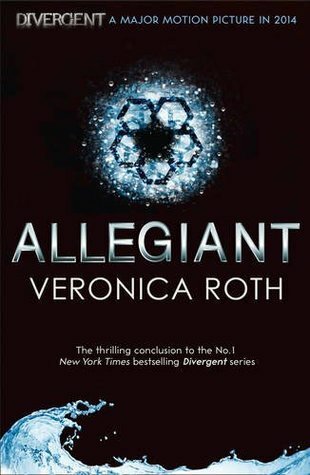 The Divergent series by Veronica Roth (Divergent, Insurgent and Allegiant) – this will be a re-read of the first two books, and a first time read of the last one. The Throne of Glass series by Sarah J. Mass (Throne of Glass, Crown of Midnight, Heir of Fire and Queen of Shadows – this will be a re-read of the first three books, before I finally read the long awaited Queen of Shadows for the first time. The Lord of the Rings series by J.R.R. Tolkien (technically one book, but the three volumes: The Fellowship of the Ring, The Two Towers and The Return of the King) – this is my favourite book of all time, and I’ve read all three volumes every year since I was 10, with the exception of the past two years. 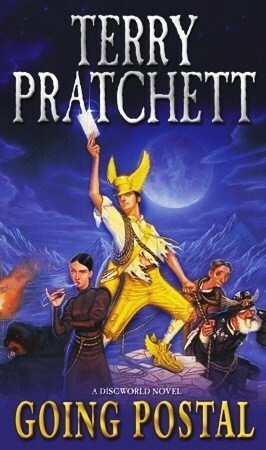 So I need to get this re-read in soon! The A Song of Ice and Fire series by George R.R. Martin (A Game of Thrones, A Clash of Kings, A Storm of Swords, A Feast For Crows and A Dance With Dragons) – pretty sure I’ve been meaning to re-read the whole series since season 2 of the TV show aired. Would you be interested in joining any of these re-reads/readalongs? Are there any books that you really want to re-read?